Viewed recently by 146 people. THE LUNAR PATONG is the flash designed hotel with a sparkling new 125 units, consisting of 80 Deluxe Rooms, 34 Deluxe Pool View Rooms, 6 Lunar Deluxe Pool Access Rooms, 5 Lunar One Bedroom Suites. 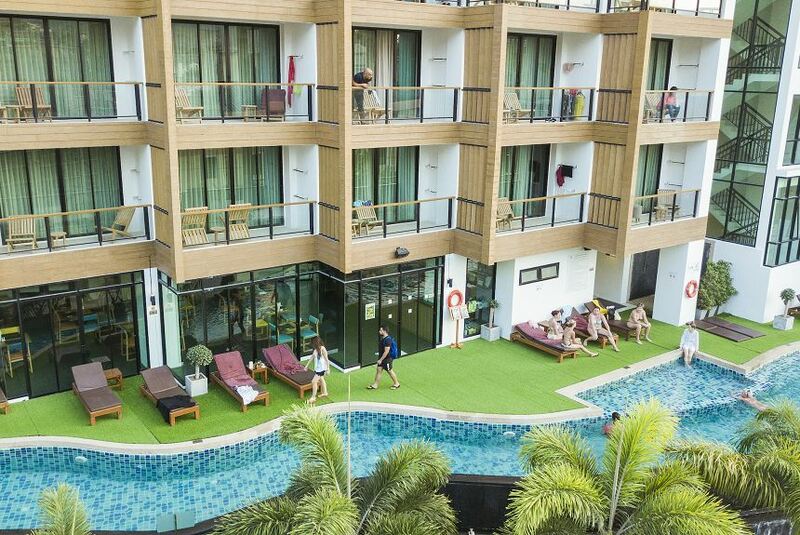 Placed in the edge of the distinguished Andaman Sea, Patong Beach with the minutes’ walking distance and the hotel is just short distance away from the Bangla Road’s bustling nightlife, Junceylon shopping store, entertainment center and the distinguished Patong Beach. This hotel design is inspired by a location which is perfect for singles, couples and family holiday escapes by merging of the blending of Thai courtesy and hospitality, comfort and modern contemporary style including an array of facilities such as restaurants, outdoor swimming pool, high-speed wireless Internet access, bars and more. Some elite rooms have stunning sea view overlooking panoramic scenery of Patong Beach.